Galpin’s House is a boys’ boarding house. It was built in 1864 as the Headmaster’s house. 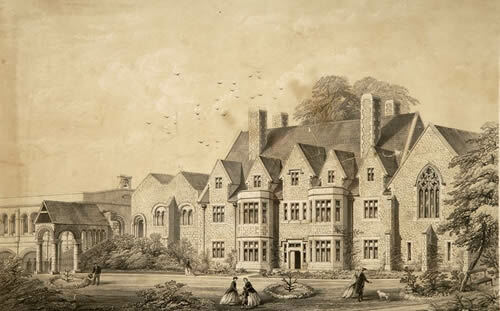 To the right in this engraving by the School’s art master was the dining hall; to the left was part of the Norman Aula Nova (accommodation for poor pilgrims), now used for the Armoury and for the boarding house. Galpin’s was created by dividing School House in 1952. Girls were attached to the house from 1973 to 1990.